The Chopras are organizing The Global Education Interact in Jan 2017. It is fair, but with a difference. 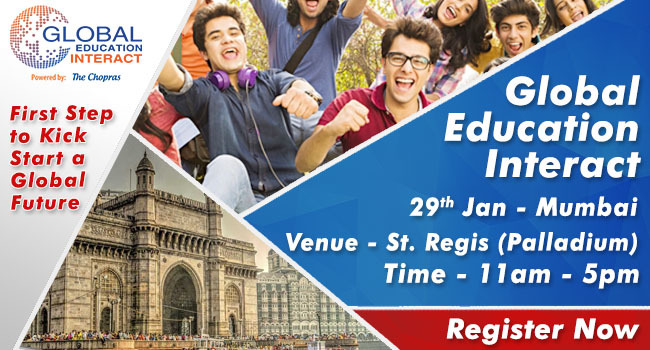 The Global Education fair has always proved to be an idyllic platform for both the students & parents and university experts coming from all across the world to gather and discuss study overseas opportunities with serious students. Free Entry for all, so register now! !